Werewolf aka Black is a 32 year old (DOB: May 22, 1986) pure-blood wizard living in Where ever there are tasty people. He wields a 12" Vine, Unicorn Hair wand, and is a member of the unsorted masses of Hogwarts students just off the train eagerly crowding around the Sorting Hat. His favorite Harry Potter book is Harry Potter and the Deathly Hallows and his favorite Harry Potter character is Lupin. Werewolf is one of the rare purebred werewolves. These werewolves are werewolves who were birthed by two werewolves, and doesn't have any living relatives who had to be bitten. 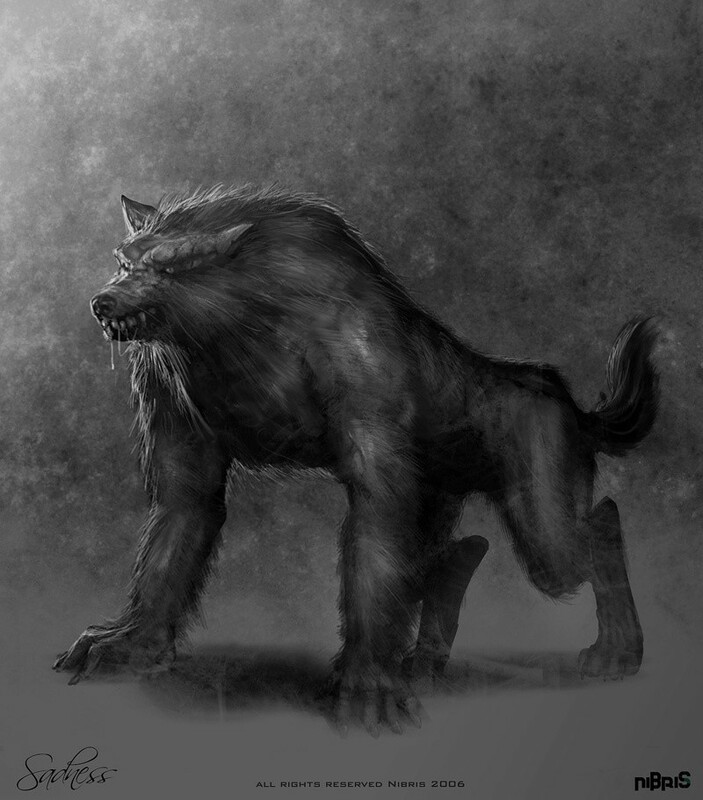 Purebred werewolves can transform into werewolves whenever they want to, not just on a full moon. In human form, he looks like a talll human with pure black hair, and blood red eyes. He always has some sort of golden weapon with him, because he can't touch silver. He usually stays in dark alleyways, and if you chance upon meeting him, watch your back!